There is little fishing or hunting pressure since resorts are few and far between. Obabikon is a family owned and operated resort and features the finest in American Plan accommodations. Quality meals, experienced staff, and well maintained equipment are standard policy at Obabikon. Obabikon has it all! In addition to the great crappie fishing, we provide a great facility for your enjoyment. Many of our customers are women. Obabikon caters to couples. Special effort has been taken to provide comfortable first class accommodations. 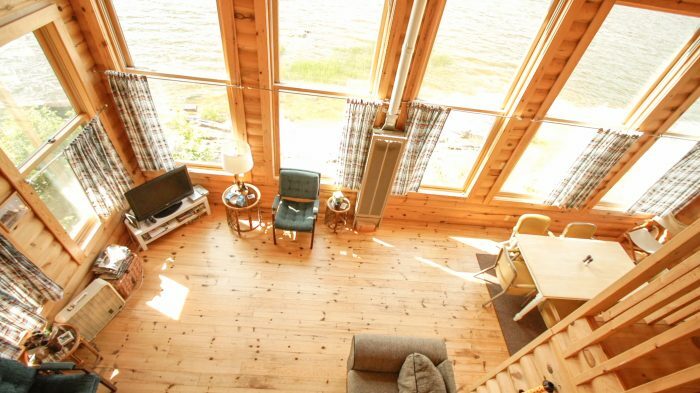 All cabins face the lake and offer private bedrooms, bathrooms, and showers. We’re proud of our facility-its unique location, the quality of our staff and guides, the well maintained equipment and the overall cleanliness of the resort. Obabikon is first class all the way! We want you, like past guests, to look forward to returning again and again!